Spring has officially sprung as of this weekend, marking the start of spring weddings, end of financial year work parties and soon before you know it, it will be Christmas function time. This of course means, dusting off those old-party outfits. To save you mind space more readily used elsewhere we have put together three fail-safe outfits for the three most common occasions you are likely to encounter in the next few months. Work events present a unique set of problems as you what you wear says a lot about you, and in a business environment this essentially can make or break a workplace balance. Therefore, we have hand-picked specific items which will allow you to cut an impressive figure at any work/formal occasion thrown your way. The most important element to this situation is a classic cut fitted blazer. 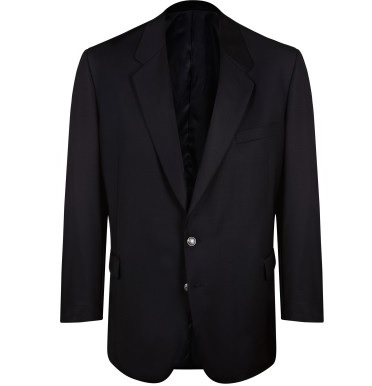 This navy item from Ron Bennett featuring sophisticated detailing that is ideal in creating a modern look. Combine with fitted, suit pants, a lightweight neutral coloured business shirt and finish with a pair of confident and comfortable lace up dress shoes and you are ready to impress. When the weekend rolls by you don’t want to be wasting any precious time pre-occupied with delving through your man-drobe to find something as impressive as it is casual. Therefore we would recommend putting this unbeatable combination to the test. Try combining a pair of black cargo shorts (we like this pair by Bennett) with a casual polo like this blue number from G. Cavalli. Throw in some all-round comfortable and durable casual shoes and you have yourself a stand by classic ensemble which will see you through your weekend adventures. While it is true that a great looking t-shirt can set the perfect tone for an unbeatable ensemble, but if the weather turns cooler, keep a versitile jacket in mind which you can throw on to complete your look. This outfit should be your reactive go-to when awoken by a less than impressed friend wondering why you are not already at breakfast like previously arranged. Knowing you already have an outfit ready to go, is just one less hurdle for you to jump on these such mornings. To ensure this is versatile enough to get you through any situation, the safest bet will always be a great pair of jeans. We are particular fans of the darker washes, as they will hide all forms of sins, stretching your time between necessary washes. Follow the Daniel Craig’s example and add a simple white t-shirt and throw on a grey knit cardigan and your good to go.